An introduction to Opportunity Zones. The East Central Regional Development Commission’s mission is to provide leadership and direction through problem solving. We do this by initiating projects and programs that lead to create solutions to regional problems, by providing technical assistance and by identifying and developing available resources. Our mission is to provide a leadership role as an advocate for East Central Minnesota to bring about positive change. The East Central Regional Development Commission was organized by petition of local units of government in 1973. Formation of regional development commissions – RDCs – is authorized under the Regional Development Act of 1969. An updated Regional Development Act was passed in 1997 by the Minnesota Legislature. 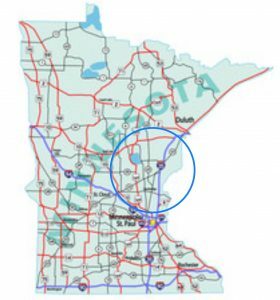 There are 13 development regions in Minnesota.